Grace Marie Turner discusses the possible outcomes of the Supreme Court’s upcoming decision on ObamaCare, the critical 2012 elections, and the importance of allowing true market-based solutions. This talk was given at the Association of American Physicians and Surgeons “Restoring Medical Freedom” Town Hall in Somerset, New Jersey on May 18, 2012. 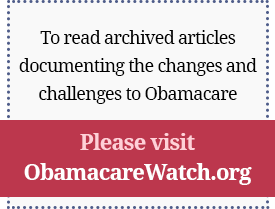 Previous Article: Senator Tom Coburn, M.D. and Jason Fodeman, M.D. : ICD-10 Implementation Date: Better Never Than Later?